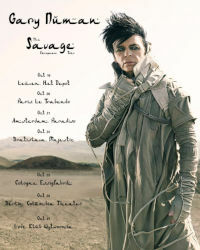 In late July Gary will be playing the first shows of the new campaign that will introduce songs from the forthcoming Savage album. At the moment he has two shows, one in Liverpool on July 27th and another at the Standon Calling Festival on July 30th. It’s possible that one or two more shows may be added in July but the main UK tour is scheduled to happen later in the year. Details of that will be announced soon. Gary will be rehearsing for the July shows on July 22nd, 23rd, 24th, 25th and 26th at a London rehearsal studio and a limited number of Rehearsal VIP passes for those five days are now available. This will be a very different set to that played on the September Classic Album tour, as songs from the Savage album are being added. These rehearsals will be the first time the band has worked together on these new songs. The format for the rehearsal days is much the same as before. You will go fully behind the scenes and gain exclusive access to the rehearsals for the forthcoming shows and be able to watch everything, every note played, every discussion that takes place, as the band work to master a brand new batch of songs from the Savage album. We have made one significant change which we hope you approve of. For these rehearsal sessions you will be invited to sit in for an extra hour as we have now increased the VIP session time from three to four hours. As before you will be welcome to talk to Gary and the band at the end of the session, although he often chats to fans throughout their time there, it really is very laid back, friendly and informal. Gary and the band will be happy to walk you through the gear and live set up, sign some things and generally just hang out and chat. 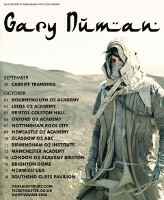 Gary will be rehearsing for these shows on September 23rd, 24th, 25th, 26th, 27th and 28th at a London rehearsal studio and a limited number of Rehearsal VIP passes for those six days are now available. The format for the rehearsal days is much the same as before. You will go fully behind the scenes and gain exclusive access to the rehearsals for the forthcoming shows and be able to watch everything, every note played, every discussion that takes place, as the band work to master songs from the Savage album. You will get to hang out with Gary and the band for an informal, relaxed, but noisy look at how the new set is put together. As we announced for the July rehearsals you will be invited to sit in for an extra hour as we have now increased the VIP session time from three to four hours. As before you will be welcome to talk to Gary and the band at the end of the session, although he often chats to fans throughout their time there, it really is very laid back, friendly and informal. Gary and the band will be happy to walk you through the gear and live set up, sign some things and generally just hang out and chat.